Our company has rich experience and expertise in supplying a wide array of Lead Ore that are used in making electrical equipments, radiators among other industries. They are fabricated using premium-quality raw-materials in compliance with the prevailing industrial standards of quality. They are offered to clients at affordable rates. The composition varies from client to client. We also export these quality-tested products to our esteemed overseas clients through reliable shipment modes. 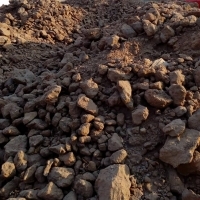 we have a good quality lead slag containing 30%Pb contain 10 to 15 % metal. Quantity 2000 ton per month. Short on time? 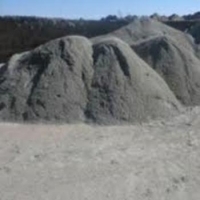 Let lead-ore sellers contact you. 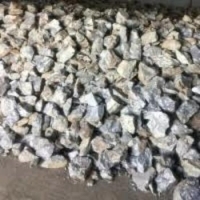 We have lead ore for sale with lead concentration of between 55% to 75%. The origin is Nigeria and the lead ore is lead oxide. Price (CNF)...Negotiable 60% Lead concentration and up is $11.5 per 1% 50% to 60% Concentation is $11.2 per 1% The lead time is 24days after signing buying contract. Pb: 40-75% As: 0.3% Rh: Nil Fe: 10.5% Ca: 0.11% Zn: 3.25% Ni: 0.01% Cu: 0.35% Ba: 0.01% Mn: 0.2% La: Nil Yb: Nil S: 12.2% Moisture: 5% Max Size: 0-50mm. 50kg bags. Zhengzhou Zhongyi Industry & Trade Co., Ltd.
Lead ore, Pb should be more than 50%. 50kg-100kg bags. Analysis: %pb 71.93 %zn 0.87 %fe 0.15 %ag 0.02 %cd n.D %as n.D %sio2 3.60 %s2 11.65 N.D denotes "not detectable". We are looking for qualified buyers of the following minerals: Lead ore with Pb 50% min. We can get high grade lead or galena ores direct from the mine-starting at 100 MT / month or 5x20"FCL per shipment. Size : 0 - 200 mm.